Even though Los Angeles proper is home to an insane amount of amazing cultural experiences, eating opportunities, and natural wonders, everyone needs to get the hell out of dodge. We’re spoiled to live in Southern California in close proximity to badass destinations like Joshua Tree, Santa Barbara, and Big Bear. Here are five less-obvious day trip opps to add to your getaway list. One word: bison. You don’t have to go to the Great Plains to see the majestic American splendor that is a herd of bison. Go on the Inland Expedition, a tour of the island’s stagecoach route from the 1800s via 50’s Flxible Bus™. No, we’re not kidding. We’re actually saying to go to Bakersfield. The city is actually a good hub for live music. For example, Elton John’s playing there in March. You know where he isn’t stopping? LA. The historic Fox Theater is another solid spot for entertainment. Take in a foreign film or live performances (Alton Brown and Brian Reagan are both hitting the stage soon). Stop by the boutique Padre Hotel for food and drinks before catching a show. If you’re looking for something Instagram-worthy, you won’t be disappointed by The Flower Fields at Carlsbad Ranch. Go during the spring to experience the fields in all of their glory. If you’re not into fields of flowers, the beach like Tamarack State Beach is not a bad place to be. When it’s time to eat, hit up Campfire for for campy fare like smoked spare ribs with apple root slaw or s’mores. Don’t miss a cocktail from Campfire’s mixologist Leigh Lacap. Get a taste of the spirit of Southern California in Santa Ana at the city’s up and coming Blinking Owl Distillery. The craft distillery is putting out aquavit, vodka, gin, and whiskeys (bourbon, rye, wheat, and single malt) using the city’s award-winning water. The tour and tasting is worth the short drive for spirits enthusiasts. Step one: get in your car and drive a few hours to Ojai. Step two: Stop at Ojai Deer Lodge. 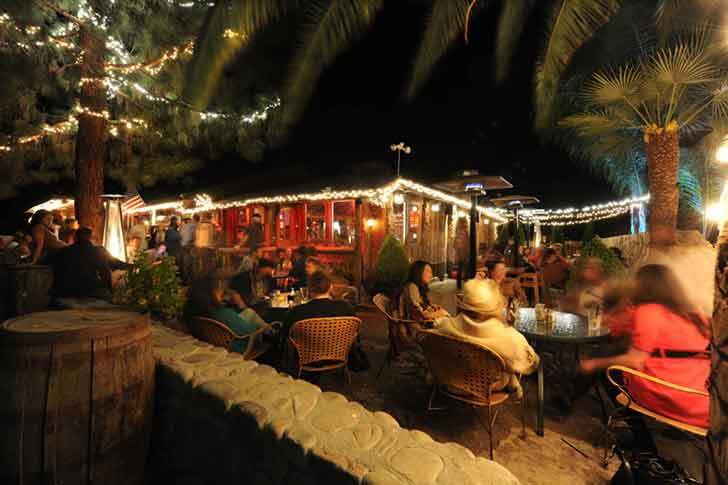 The iconic spot has been an Ojai staple since the ‘30s and is a dreamy day trip spot morning, noon, and night. Get BBQ or the legendary deer lodge mac and cheese with white cheddar and smoked gouda cheese. Go crazy and add some bacon too it while you’re at it. A trip to Tijuana sounds less low-key than the others, but it’s really not that far away. If you leave early enough in the morning on a weekend, you can get south of the border to Tijuana in about two and a half hours. Make your first stop Tortas del Wash Mobile for the best torta of your life, then peruse Mercado Hildago to stock up on kitchen staples like beautiful ceramic ware and dried chile. The only downside to a Tijuana jaunt is hitting the traffic at the border heading home. Unlike most traffic jams in LA, the ones in TJ have the perk of street vendors serving delicious snacks like fresh churros, fruit salad, and tamales right to your car.